Throughout 2016 and 2017, I worked with Detroit grassroots grant-making group Community Connections to tell the stories of its mission, volunteers, successes and more. With the group’s emphasis on equity, initiating participatory design processes was key. 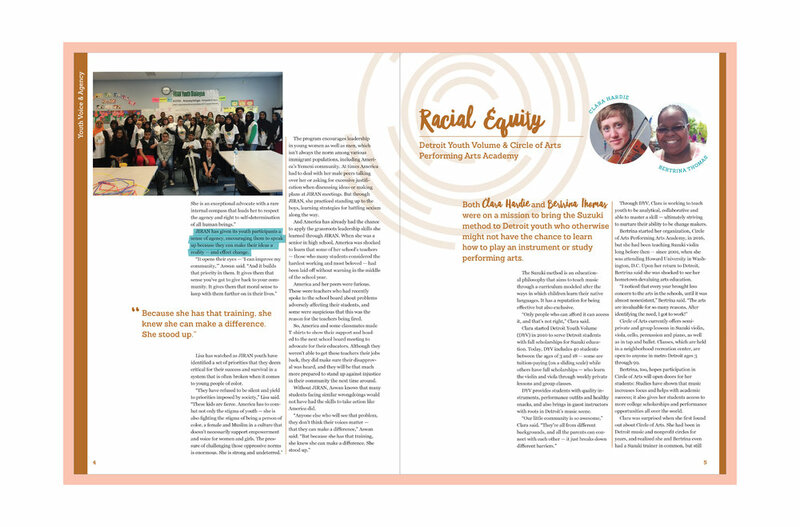 My work with Community Connections has included conducting individual interviews, facilitating group workshops, and co-writing and designing various reports.